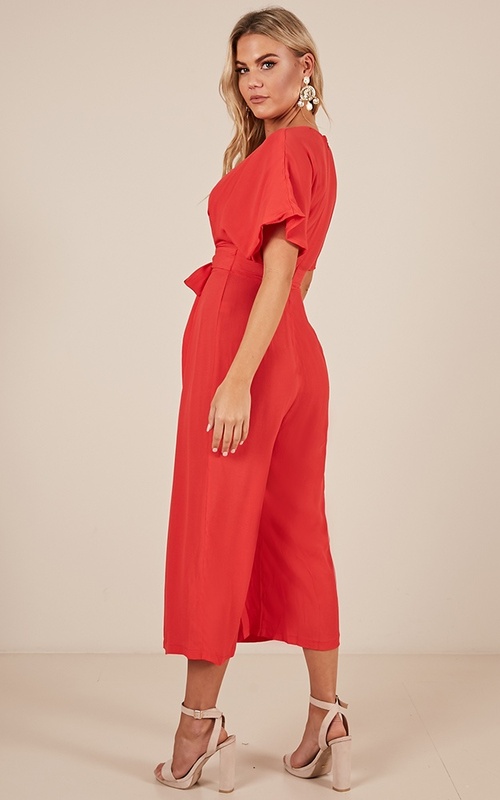 You'll love the Last Night jumpsuit in red! 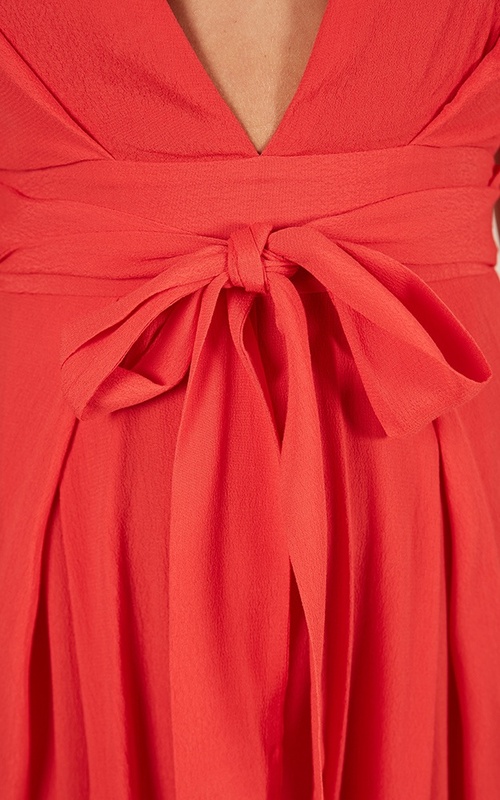 This gorgeous jumpsuit features a solid colour detailing and a cropped length. 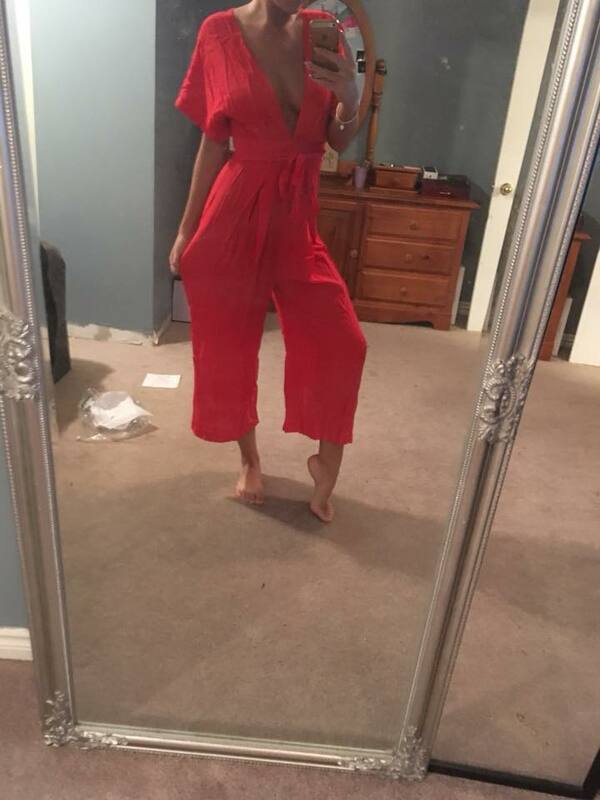 This is the perfect jumpsuit for any occasion! Dress this bad boy up with some strappy heels or dress down with some gorgeous sandals for a finishing touch. I am obsessed with this jumpsuit. The colour is perfect, everything is perfect, except the waist is TINY!!! I cannot get the zipper done up past the waist.. Took it to get altered but there's not much material to work with to loosen it. :( but the rest is an amazing fit. Not zipped up in my picture.